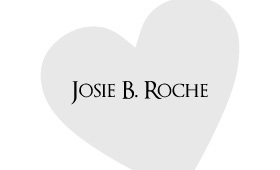 We honor Josie B. Roche with a memorial sign and would like to give special Thanks to the Guy G. Roche Family for their generous support of the Huntsman Foundation and Golf to Eradicate Cancer. Guy is currently serving as the director of Golf To Eradicate Cancer and as the founding member, he has worked tirelessly to build up the organization designed to support Huntsman Foundation and the fight to eradicate cancer. He and his family members remember Josie, a wife, mother, and friend. Josie left a legacy of smiles, optimism, and friendship and although her body was defeated by cancer, her spirit lives on through the commitment and dedication to finding a cure for future cancer patients at the Huntsman Cancer Institute.